After starting as a trainee at Tottenham Hotspur, he won honours at England Under-18 level, captaining the side to victory in the 1993 European Championships, and scoring in the Final. He made some 32 appearances for Spurs, during which time he went on loan to Watford, before he was subject to a £700,000 move to Reading in 1996. He made 201 appearances for the Royals, scoring 35 goals for the Royals, before a move to Notts County, where he made over 100 appearances. 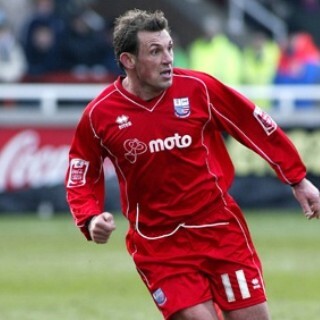 After that he had spells at Bristol City, Hornchurch, Peterborough United, Bath City, Havant & Waterlooville, before crossing the Atlantic to play for Virginia Beach Mariners. He joined Diamonds after returning from the States although International clearance was not received until 27 January 2006. Diamonds were struggling under Barry Hunter to avoid the drop into the Conference and he remained for the rest of the season before being released in May 2006. 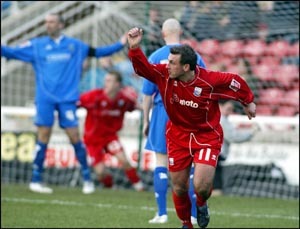 Darren joined Kettering Town on 18 May 2006, before a loan spell with Halesowen Town the following year. He later made the move permanent for the 2008/2009 season. At the start of the 2009/2010 season, he joined Conference North side Ilkeston Town as player/coach, although he had to wait until the end of February before making his debut. Following the winding up of the club in September 2010, he remained with the reformed Ilkeston FC at the start of their campaign in the Northern Premier League Division One South in the 2011/2012 season, taking on the role of Assistant Manager to Kevin Wilson, and helping them to promotion into the NPL Premierat the end of the 2011/2012 season. On 25 September 2013, Darren was appointed Assistant Manager (to Gary Mills) at Conference side Gateshead, and that partnership continued at Wrexham in 2015-16. He then spent some time in various backroom roles at York City before leaving in 2017.